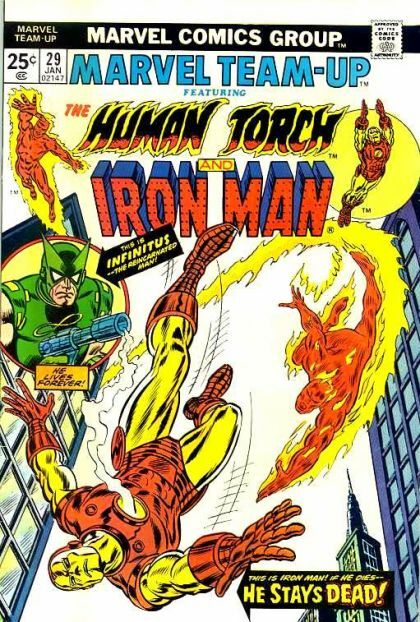 The Human Torch and Iron Man: Beware the Coming of... Infinitus! or How Can You Stop The Reincarnated Man? A number of people have been killed through sabotaged technology. It appears that Infinitus, the Reincarnated Man, is attacking all of his enemies. Can Iron Man and the Human Torch set their differences aside long enough to save the day?